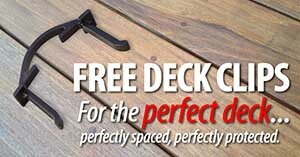 What post size is right for your deck? 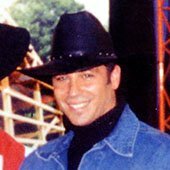 Design the right size of posts. 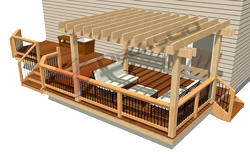 What Post Size is Right For a Deck? 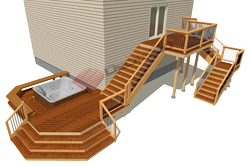 If you're just joining us, post size is the next calculation for our hot tub deck project. 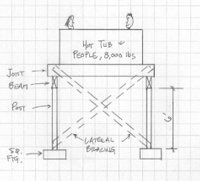 We just figured out the correct beam size but let's not forget posts. 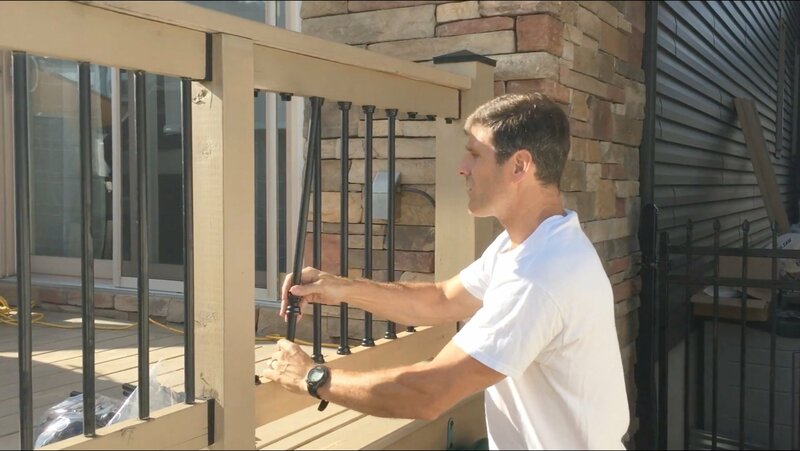 The correct size of posts to use for a deck depends on a number of variables, a couple important ones which are height and width. So a 4x4 is only good up to a certain height because it becomes susceptible to wobble. But let's let Tim Garrison of ConstructionCalc carry on with this explanation of how to use the ConstructionCalc Column Calculator. 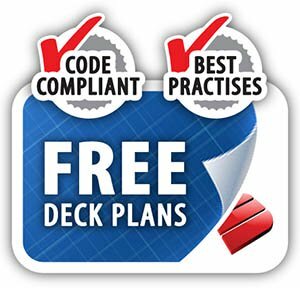 This is step 4 from Tim's Deck Design Explanation. Read the full pfd version here. Click here to open a pdf version of the Post Design Report. Beam ID, Job Name, etc. ; similar as before. Length: This is the length from the bottom ofbeam. 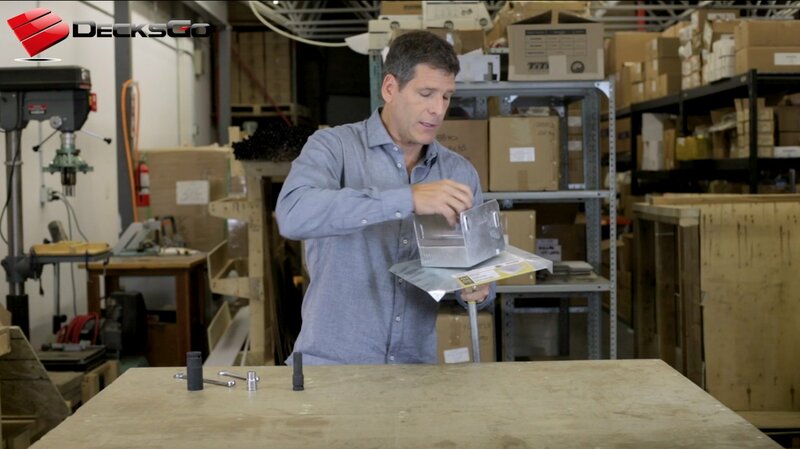 (applied load) to bottom of column (top of footing), in our example = 6'. Note: to be conservative, always use the maximum probable length, particularly in times where you're designing a typical column and some are longer than others. With columns and studs, length has everything to do with strength: the longer the column, the more prone to buckling (weaker). Thus short columns and studs are stronger than long ones of the same dimensions. Maximum Live Deflection: This is for columns or studs subject to wind loading. Not applicable in our case, so stay with the default value of L/175. Type of Column, Stud, or Post: Select the most appropriate. This has to do with lateral bracing and resistance to buckling. If in doubt, Unbraced Column or Post is the most conservative. In our case Unbraced Column or Post is what we have. 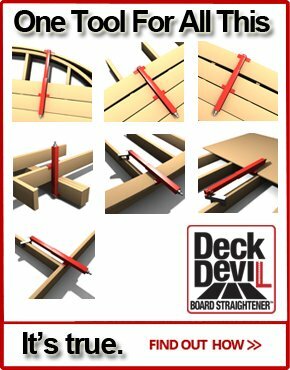 Load Duration: Our post will be subjected to 10 yrs live, just like the beam and joist from which its load came. 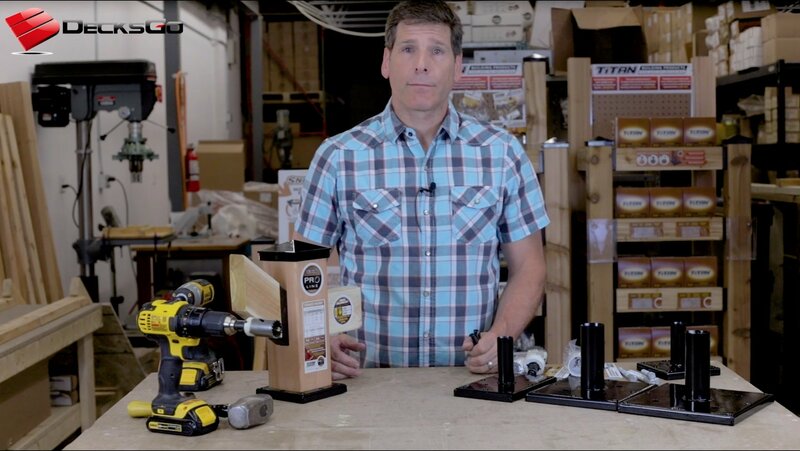 Off Center or Other Bending Loads: This is for columns or studs subjected to bending either from compression loads applied off-center from the middle of the member (such as from a nailed-on ledger) or other means, such as a knee­brate. 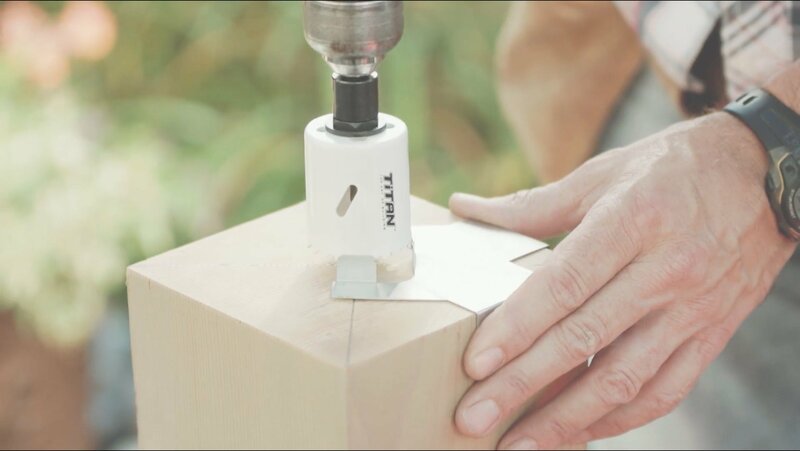 In our case, the post will be loaded only from the beam which will sit directly on top of the post, thus we select No. Wind Load. This post will be subjected to no significant wind loading, thus we leave this section blank. 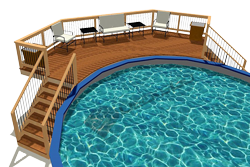 It is important to note however, that diagonal bracing must be installed on all four sides as shown in the sketch or the entire hot tub deck can fall over sideways. Acceptable Solutions. We can choose from any type of wood shown in the tables. We know the lumber yard has lots of No.2 grade on hand so we'll select that. We see that a 4x4 makes it. Good because this is an inexpensive member and will match up nicely with our 4xl2 beam. Certainly we could use anything larger too; the tables only show minimum post sizes. Final Selection. Choose Sawn Wood, 4x4 and we see this member makes it by 77.4% - way okay, even for pressure treated. 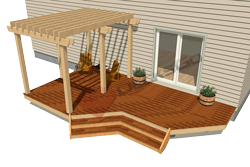 Now that you know the correct post size for this deck, it's time to calculate the size of the concrete footings that the piers and deck post will rest on. 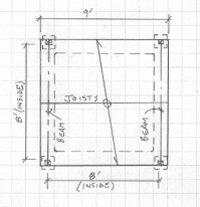 And just like for the post size, it's easy to do using the Construction Calc Square Footing Calculator on the next page where we explain how to calculate the size of the deck footings.